Brenda Kimbrell Smith – a native of Houston, Texas and resident of Mobile, Alabama died March 25, 2019 at the age of 73 at her home in Theodore. She was preceded in death by her parents William ‘Bill’ E. and Florence D. Kimbrell; two brothers William ‘Billy’ Kimbrell and James E. Kimbrell and sister Nancy Kimbrell. Her survivors include son Christopher William Smith; daughter Elizabeth Paige Smith; Brother Richard B Kimbrell (Sheila); grandsons Landon Christopher William Smith and Ayden Burton Gardner; five nieces; one nephew; numerous cousins; close friends; and her four beloved canine companions. She graduated from Baker High School in 1963, where she was the class Secretary. She has been involved in planning numerous class reunions over the years and has remained close friends with many of her former classmates. Brenda’s 24 year banking career began with Mobile Federal Savings and Loan where she was employed for 16 years. She began as a teller and worked her way up to Assistant Vice President and Branch Manager of the Tillman’s Corner Branch. The next 4 years she spent with Colonial Bank also presiding as Vice President and Branch Manager. She then spent 4 years traveling among three states as an Independent Contractor for American Express. In 1992 Brenda started a new career in the Real Estate field. She began as the Manager of The American Real Estate Institute for 4 years before opening up her own school, 4 Star Real Estate School, which she ran for 10 years before retiring in 2006. Aside from her work career, Brenda was involved in many clubs and organizations in Mobile and surrounding communities. She was a member of the ABWA, America Business Women’s Association. 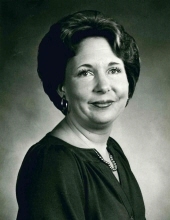 Where she served on numerous committees over the years, including holding the office of Vice President in 1973 and Scrapbook Chairman in 1974, Then in 1981 she was the recipient of the ABWA Business Woman of the Year award, In 1978 she was a founding member of the Top Cats Toastmaster Club – Tillman’s Corner, where she served as Sergeant of Arms that year. She was instrumental in organizing the Tillman’s Corner Area Chamber of Commerce where she served as Secretary for two years and then presided as President in 1980. Also, in 1980 the Mobile Press Register did a full page article about Mrs. Smith, titled “Career, Community Involvement: Day by Day Priorities”. She was a member of the Ess ‘N’ Ellers – (Education Association for High School Students) for 5 years and also served on their Board. She was a member of Alabama League of Savings Association for over 14 years. She was the association’s State speech contest timekeeper and worked on numerous workshops. She was chosen by the Mobile Area Chamber of Commerce with only 43 other Mobile Area professional representatives to tour the Strategic Air Command Base at Offutt Air Force Base in Omaha, Nebraska. There she had the opportunity to fly in a KC-135 tanker while refueling B-52 Bombers. Brenda presided over or was a member of many local organizations, too many to list here. But the last organization that she had the honor and joy to help run, for the last 12 or so years, was the Belvedere neighborhood association where she made many loyal friends that she called family. For relaxation, Brenda loved to fish, play dominos and work with her plants. She could identify and care for almost any plant or flower known to man. She was the ‘Go To’ for many – to help organize an event, taxi friends and neighbors to appointments or the store, lend a helping hand or just sit and visit. She was the dog sitter for any pooch that found their way into her home or heart; she helped to find homes for many strays throughout the years. The family will hold a memorial on Friday, April 12, 2019 at 5:30 P.M. at The Fowl River Community Center located at 5401 Fowl River Road, Theodore, AL 36582. In lieu of flowers the family requests that you please make a donation to your church or your charity of choice in honor of Brenda. Arrangements by Ascension Funerals & Cremations, 1016 Hillcrest Road, Mobile, Alabama 36695. To plant a tree in memory of Brenda Kimbrell Smith, please visit our Tribute Store. "Email Address" would like to share the life celebration of Brenda Kimbrell Smith. Click on the "link" to go to share a favorite memory or leave a condolence message for the family.